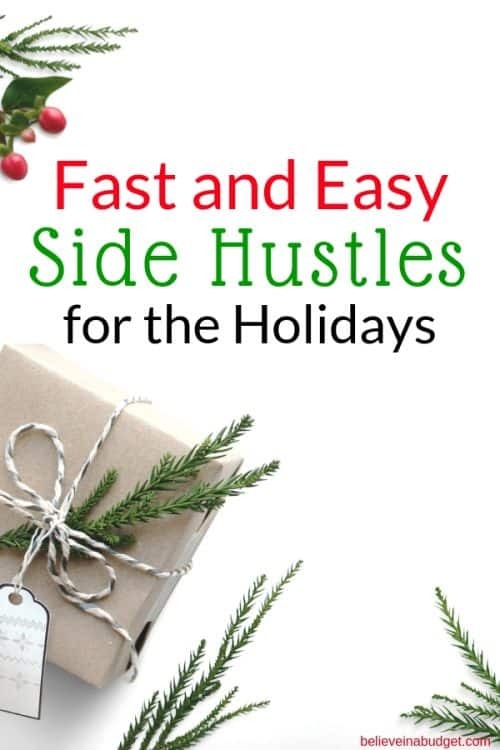 Having a side hustle is a great way to make money for the holidays. I think we can all agree that the holidays can be expensive and can be quite stressful for many people. This post was updated on December 5, 2018. 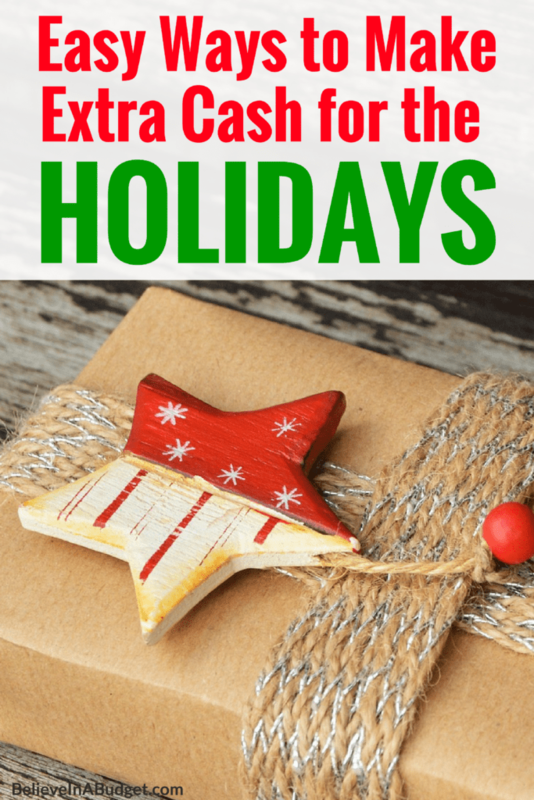 It's always nice to have extra cash on hand to help pay for presents, travel and other expenses, which is why I have a super exciting giveaway for you. If you want to make extra money, you can start a side hustle (or two!) at anytime to save money. I love to side hustle because it's a flexible way of earning income without having a part time job. Plus you can side hustle from home, waiting in the school pick up line or while on your lunch break! Of course, the earlier you start to side hustle, the more money you will have. One great way to side hustle is to take surveys and earn money.As many of you know, I started to side hustle years ago! I've shared countless ways to earn extra income without having a part time job. One of the very first ways I made extra income was to take surveys online. There are a ton of survey companies out there that let you earn money this way. I have been with some of these survey companies for over ten years, long before I was a blogger. Remember, every company should be free to sign up with – you should never pay to sign up with any companies! Because I've been with certain companies for so long, I have been able to figure out which companies really help me earn the most cash back. You can also take surveys on your cell phone, iPad or tablet. The surveys are very easy to do. The more surveys you sign up with and participate in, the more money you will make! These points can then be exchanged for gift cards and cash back. You can earn gift cards to places like Amazon, Target, Starbucks, Walmart – basically places you normally already shop at. You also get a $5 bonus when you sign up here! This is one of my favorite survey companies. You answer really current questions related to the economy and you also get to see the results. You can cash out for a ton of different gift cards, like Visa, Walmart and more. Sign up here and receive 2,000 bonus points! This is similar to other survey sites – you earn points for taking surveys and then you redeem your points for a pre-paid Visa gift card or rewards. I like Pinecone because you get to give your opinion on products (and even test them out), so your input influences whether or not products hit the shelves. It's one of the very first survey companies I started working with when I started side hustling! Click here to get started with Harris Poll! VIP Voice lets you earn rewards for completing surveys as well as writing in an online, virtual journal, which makes it different from other survey companies. Sign up here to get started with VIP Voice. These surveys are on current events, products, food, medicine, etc., and you can earn cash back or gift cards, like Amazon, PayPal and more. Sign up here to get started with Opinion Outpost. One of my favorite ways to side hustle is to mystery shop. Aside from making money, most mystery shops will reimburse you for your purchases from dining out and shopping. This course provides over 40 direct links to companies you can start side hustling with immediately, including mystery shopping. Many people believe the myth that mystery shopping is a scam, but this is far from the truth! I have made great income from mystery shopping. I have been able to shop at popular retail stores and buy presents for friends and family at no charge, thanks to mystery shopping. Usually I am able to purchase something that will be reimbursed, as well as receive a cash bonus for completing the shop! I went from making $40/month to over $4,000/month in the span of six months. That’s crazy! Here is a tutorial that walks you through how to start a blog. Blogging has totally changed my life. I even share my online income reports so other people can see how I got started and how I am growing every month. 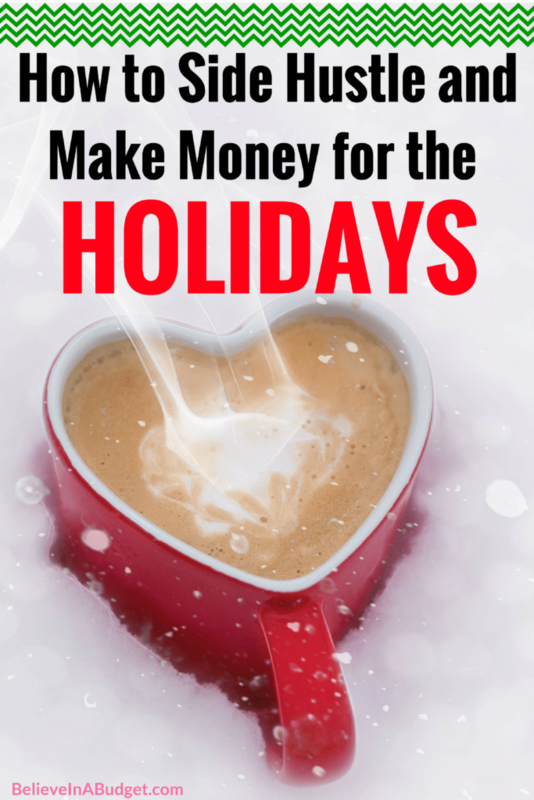 Work your own schedule and make mad cash! I know plenty of drivers that work all kinds of different time shifts, whether it's working during rush hour, happy hour or in the evenings. Uber even offers bonuses and extra incentives all the time. Want more side hustle tips? I've made anywhere from $4,500 to $6,000 per year from various side hustles that are easy to do and don't take up much time. What is your favorite way to side hustle? Thank you for this post, i have been racking my brain trying to figure out a way to get more of am income. You did a great job on your rrsearxh amdni thsnk younfor sharing it!! Kristin I love your articles!! They are so helpful and interesting. You are literally inspiring to me and I love reading all your helpful blogs! Thank you! Hey Kristin. Great post. I haven’t heard of a few of these so I’ll have to check them out. I love Swagbucks and Ibotta. You can accumulate money fast with SB surveys!